This piano is available in our showroom. This digital hybrid piano is available for rent for events or purchase it at a reduced rate. While Yamaha pianos are widely advertised, to truly understand the quality of this piano, we invite you to visit our showroom and play the Kawai hybrid pianos. 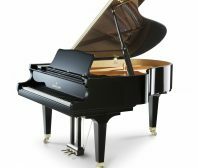 Find out why Kawai CA and CS pianos are voted the best home digital pianos of the year.